Capgemini, in association with Karnataka State Scrabble Association (KSSA), is proud to announce the 14th International Scrabble Tournament to be held in Capgemini (IGATE) campus in Bangalore from January 11 - 14, 2018. Capgemini tourney is bigger and better in 2018! The total prize pool money is over 16,500 USD! Special feature: Four divisions and increased prizes! Address: 158-162 (P) & 165 – 170(P), EPIP Phase II, Whitefield, Bangalore 560 066. *Several more exciting special prizes including bingo prizes and spot prizes. Late Registration: Entries sent in after January 1, 2018, will have to pay Rs.500 extra. Please note that prize money is subject to tax deduction at source as applicable. A maximum of 34 games of 50 minutes each will be played over four days (A and B divisions). 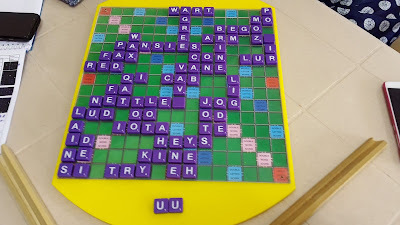 Word source will be the latest Collins Scrabble Tournament and Club Word List 2015. Challenge: 5-point penalty per word, the player does not lose turn. 9.00 am - 9.30 am-Inauguration and draw. eight/nine games to be played during the day. Games will continue on the subsequent days. Breakfast, lunch and snacks will be provided on all four days of the tournament. Entry fee: The tournament is conducted by KSSA who will collect the entry fee. 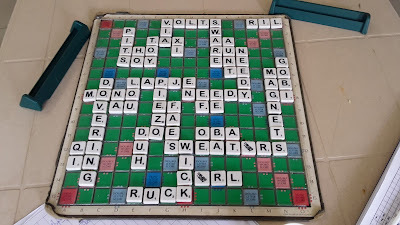 The association promotes competitive scrabble in Karnataka and in association with the Scrabble Association of India the rest of the country as well. Entry fee can be paid on the day of the tournament.